St. Leonard of Port Maurice was established in 1941 for African American Catholics; we are a multi-racial parish of about 100 families. 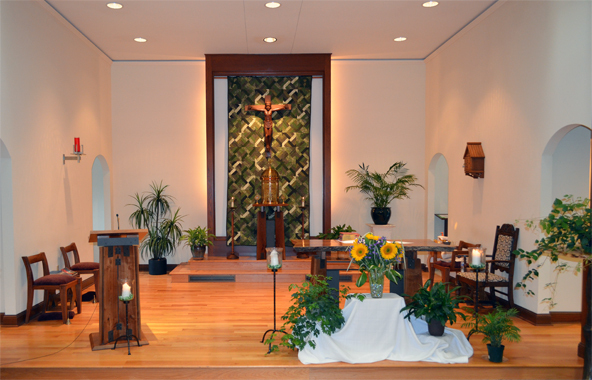 We offer a Sunday Mass at 10:00 a.m.
Our doors are always open to you. We are a welcoming and affirming parish. We offer worship on an intimate scale, accompanied by spirited congregational singing led by our gifted pianist, and followed by hearty fellowship after every Sunday Mass. The Church of St. Leonard of Port Maurice believes that, with our worship and fellowship experience and faith as our base, we can achieve social justice through education and outreach that guides us on our Christian journey in the community. “What do I have that I have not received as gift? Take care of you tomorrow, and every day. Copyright © 2019 St. Leonard of Port Maurice. All rights reserved.